During my time at The Record I developed a bit of a pet beat. I don't think I took one animal photo during my two years at Loyalist...but my pet photography career really took off in Waterloo. On this assignment there were 100 dogs that were rescued from a puppy mill and distributed across humane societies across Ontario. These poor little guys have had a hard knock life. KITCHENER, Ont. 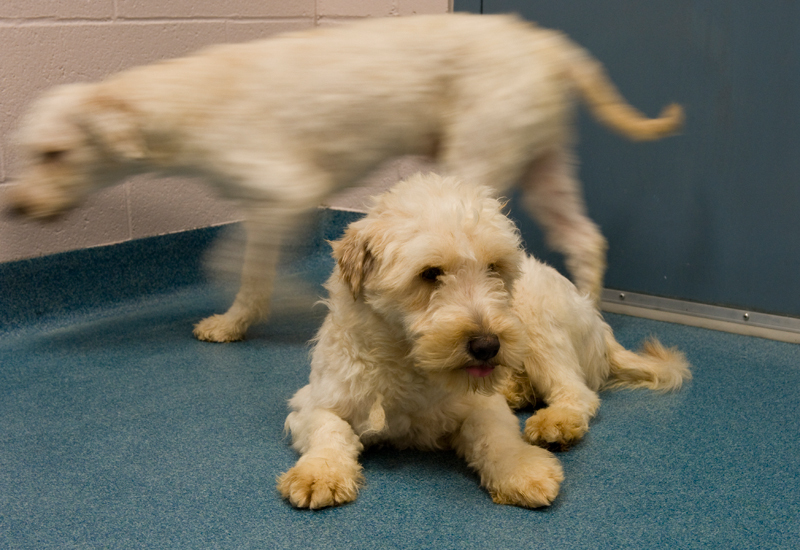 (26/04/11) -- Benny is one of the 12 Wheaten Terrier/Poodle/Schnauzer cross breed dogs that have been brought to the KW Humane Society after over 100 were recently surrendered to the Ontario SPCA Muskoka Branch. 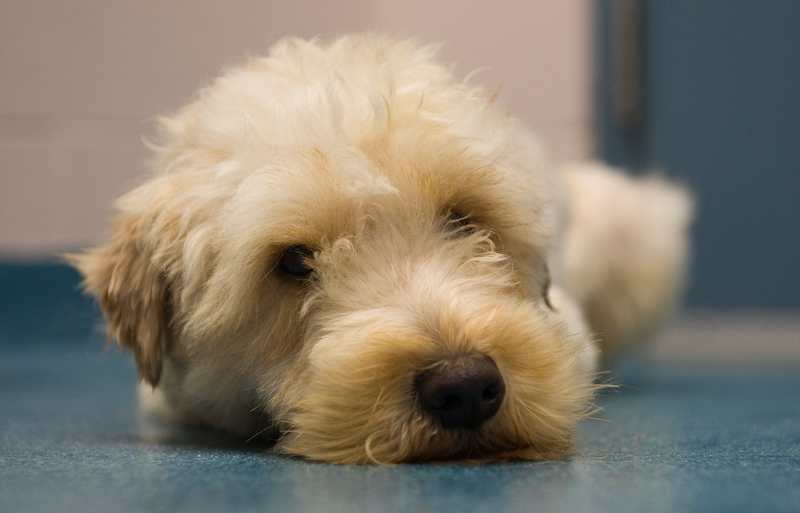 The KWHS is one of 18 communities that offered assistance to the Muskoka branch to care for the dogs. Shannon Storey, Record Staff. KITCHENER, Ont. 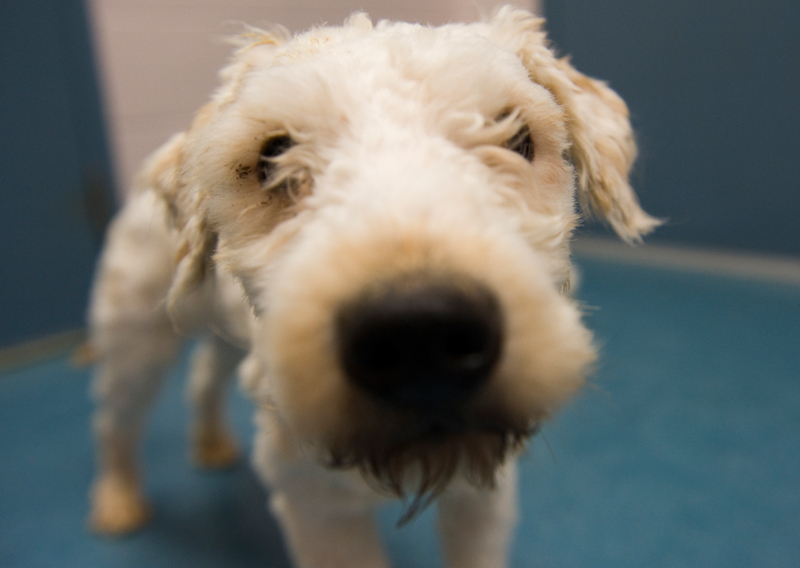 (26/04/11) -- Mikey is one of the 12 Wheaten Terrier/Poodle/Schnauzer cross breed dogs that have been brought to the KW Humane Society after over 100 were recently surrendered to the Ontario SPCA Muskoka Branch. The KWHS is one of 18 communities that offered assistance to the Muskoka branch to care for the dogs. Shannon Storey, Record Staff.